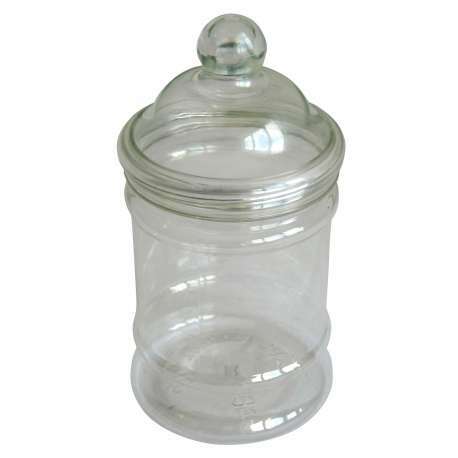 380ml PET plastic Traditional Confectionary jar supplied with Victorian plastic screw lid. 48 jars with lids per pack. Suitable for confectionary, dried products. Screw lids lids to fit this jar are available to buy separately. Colours available: - yellow plastic, blue plastic, black plastic or Victorian knobstopper style.